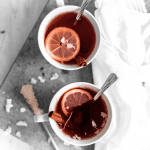 A warming homemade drink with a hint of cinnamon, citrus, and coconut. Perfect for colder days when you’re looking for that extra little bit of comfort. So lucky, indeed. As the summer months start to slowly but surely fade away, we are all looking for ways to drive up the cosiness factor. We’re craving apple pies, countless pumpkin spiced lattes (this is the first year that UK Starbucks offers a vegan PSL! ), scented candles and warm fluffy blankets. And what better way to top off your Sunday eve than with a cup of carefully brewed tea? Plus, it’s mega easy to ensure you can throw it together within minutes. This gentle tea is entirely customizable. 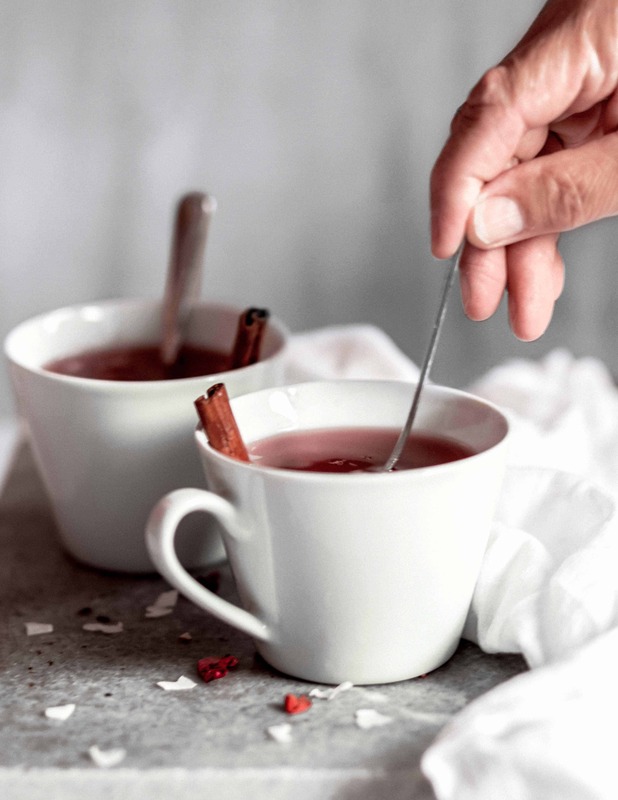 You are free to choose any warming fruit tea your heart desires, although I do recommend sticking to berries as they work perfectly with our star ingredient – cinnamon. And yet, the subtle taste of cinnamon and classic fruit tea didn’t seem to cut it just yet. This is when I added a slight tropical touch of shredded coconut and zingy lemon slices. Most of us are spending too much time indoors and with a steady decline of fresh seasonal fruits, we’re not hitting that daily dose of vitamins. Why not add a slice of lemon to make your cuppa that extra bit healthy? Brew your favourite fruit tea according to instructions on the box. I went for organic Wild Berry tea, but this would work just as well with Mixed Berries, Strawberry, Raspberry or other fruit tea.